Logo created in 2006 during campaign for Governor, and adopted for Maryland’s ongoing accountability and measurement program focusing on the health of the Chesapeake Bay. BayStat and its web site included participation from the Departments of Natural Resources, Agriculture, Environment and Planning. It would later provide an anchor for the Smart, Green and Growing portal. 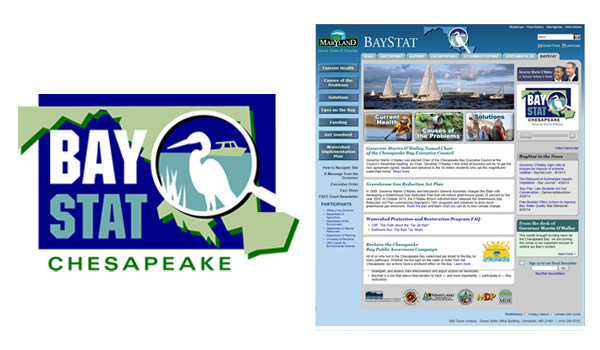 The updated version of the site can be viewed at www.baystat.maryland.gov.